Drycleaners are familiar with the power of an “ecofriendly” message. Indeed, many operators were at the forefront of the movement, fighting poor publicity stemming from perc use. Some switched solvents, thinking that using something other than perc would improve their standing in the consumer consciousness. 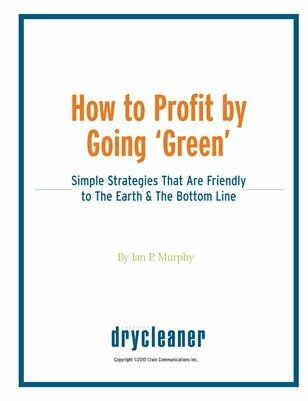 Going “green” is just another way to make money by giving people what they want, and this report offers simple strategies you can start to use today to “green” your operation and build the bottom line.